PM Modi will travel to Switzerland to attend the World Economic Forum (WEF) in Davos. US President Donald Trump will also be attending the summit. 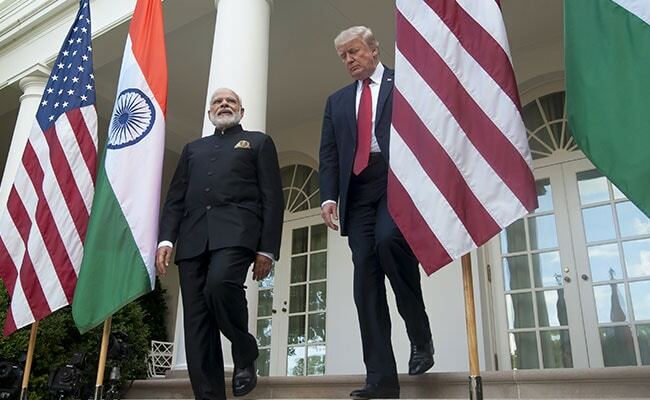 US President Donald Trump will attend the World Economic Forum in Davos later this month, opening up a distinct possibility of a meeting with Prime Minister Narendra Modi. This would be for the first time in 18 years that a US president would be attending an annual gathering of global economic leaders. "The president welcomes opportunities to advance his 'America First' agenda with world leaders," White House Press Secretary Sarah Sanders told reporters at her daily news conference. She said Mr Trump looks forward to promoting his policies to strengthen "American businesses, American industries, and American workers". Details of the president's trip to Davos, including bilateral meetings, are being worked out, Ms Sanders said. "We're finalising the details on exactly when the president will be there. We don't have any commitments beyond this year at this point," she said, adding that the White House is looking forward to be part of the process. "The president's message is very much the same here as it will be there; just the same as it was here, as it was when he made many stops in Asia. This is very much an America First agenda," Ms Sanders said. She said Trump is "still 100 per cent focused and committed' to promoting policies that strength American businesses and the American worker. "That's going to be the same whether he's in the US or any other place," Ms Sanders said. Several senior members of the Cabinet and administration will be part of this event, she said. The World Economic Forum Annual Meeting 2018 will take place later this month in Davos-Klosters, Switzerland, under the theme 'Creating a Shared Future in a Fractured World'. PM Modi will travel to Switzerland on January 22 on a two-day visit during which he will deliver the keynote address at the plenary session of the WEF.